I made this salad during the first week of my sugar detox. 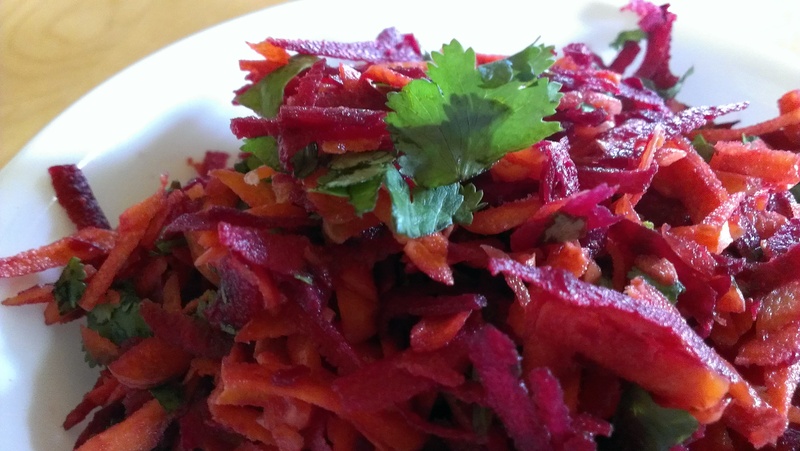 All of the ingredients right down to the dressing are excellent detoxifiers (beets and lemon are great for the liver, ginger is great for digestion, and cilantro removes heavy metals). Because it is only three ingredients, it is relatively easy to throw together at the last minute. Dressing: Olive oil and lemon. Sprinkle a 1/4 teaspoon dried ginger over salad.